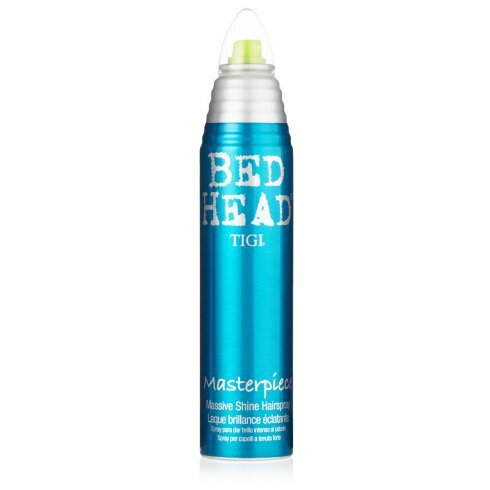 Massive Shine Hairspray Turn your hair into a work of art that lasts all day with this TIGI Bed Head Masterpiece Massive shine Hairspray. It will give medium hold and serious volume to your hair. This Masterpiece hairspray is also humidity resistant which allows you feel confident with your hairstyle whether it is rain or sunny. Create your own masterpiece hairstyle by using this massive shine hair spray. How to use: As a working hairspray hold 10 -12 inches from dry hair and spray evenly, layering as needed. If using with heat tools, spot spray each section with a light misting as you style, finish your look with a final layer to set.